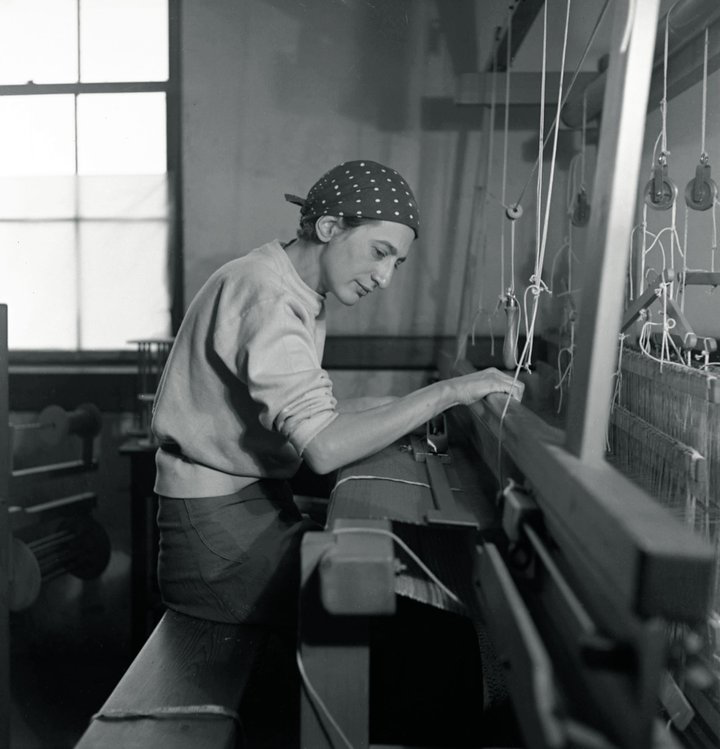 As the Bauhaus turns 100, female members of the influential design school are finally getting their due with long belated attention paid to their important—and historically overlooked—contributions. Harper’s Bazaar interviews Judy Chicago on feminism, fame, and the renewed appreciation for her decades of work. 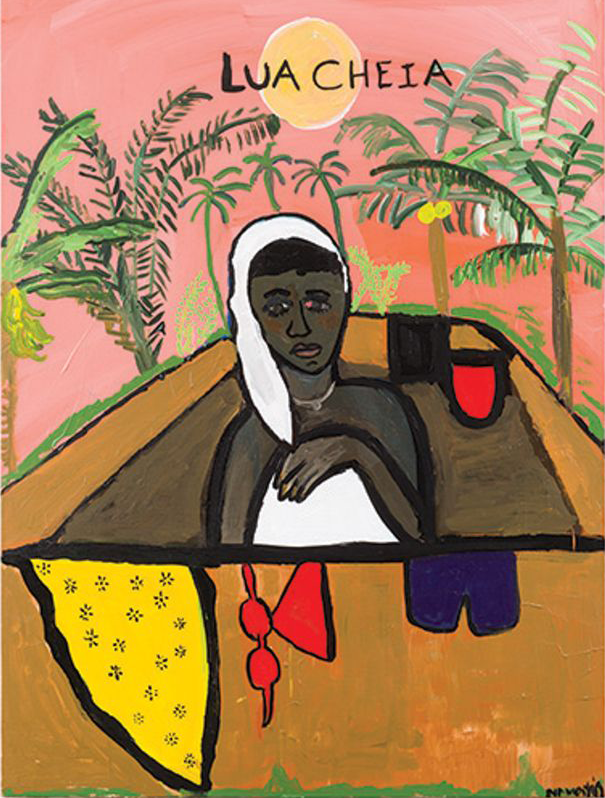 Washington, D.C.’s National Portrait Gallery has opened the exhibition Votes for Women: A Portrait of Persistence, the most comprehensive show ever on the fight for women’s suffrage in the U.S.
artnet looks at Brazil’s surprisingly feminist art world, where women artists enjoy equal recognition and market value with their male peers. 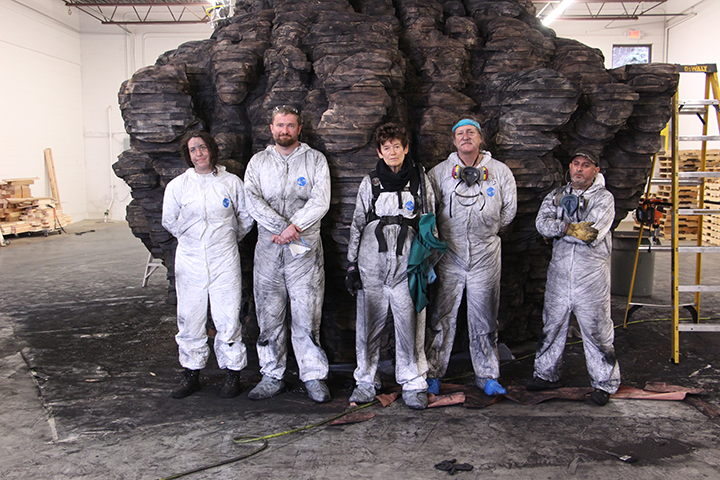 Ursula von Rydingsvard, center, surrounded by studio assistants in front of Bowl With Folds (1998–99) in Detroit in 2017; Photo courtesy of Kevin Silary/Galerie Lelong & Co. The Library of Congress has acquired 157 handwritten letters from Georgia O’Keeffe and her husband, Alfred Stieglitz. Brandi Cheyenne Harper pens an essay for Design*Sponge on what it means to be a black artist in the design community. The life story of renowned poet and writer Maya Angelou is being developed into a one-woman Broadway show, set to debut in 2021. At the Fabric Workshop and Museum in Philadelphia, Sonya Clark: Monumental Cloth, The Flag We Should Know spotlights the Confederate Flag of Truce—a cloth that brokered peace and represented the promise of reconciliation—and proposes it as a monumental alternative to the divisive Confederate Battle Flag. For the exhibition, Clark created 101 replicas of the Truce Flag, along with a massive replica ten times the size of the original.